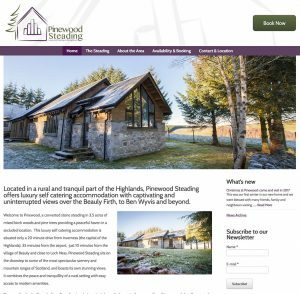 Jane from Pinewood Steading Self Catering contacted Beauly.net to build a website for her. We offered one of our low cost website design and maintenance packages which allows Jane to manage her website content all for a fixed monthly price. We also completed some initial photography for the website with Mike Leslie Photography and designed the logo too.